This is a semi-hollow version of our DSP with the addition of a 60's style tremolo, a floating bridge and an elegant flamed maple back. A custom-wound DP90 in the neck position gives an authentic blues tone making a versatile combination with the vintage Humbucker in the bridge position. 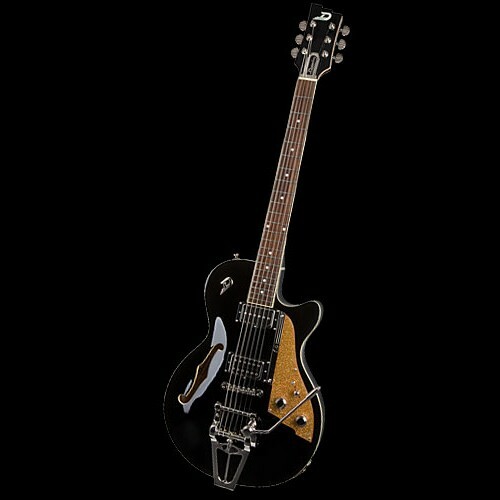 The DTV is truly one of the finest guitars in the world. It will remind you of the time when rock & roll was young. 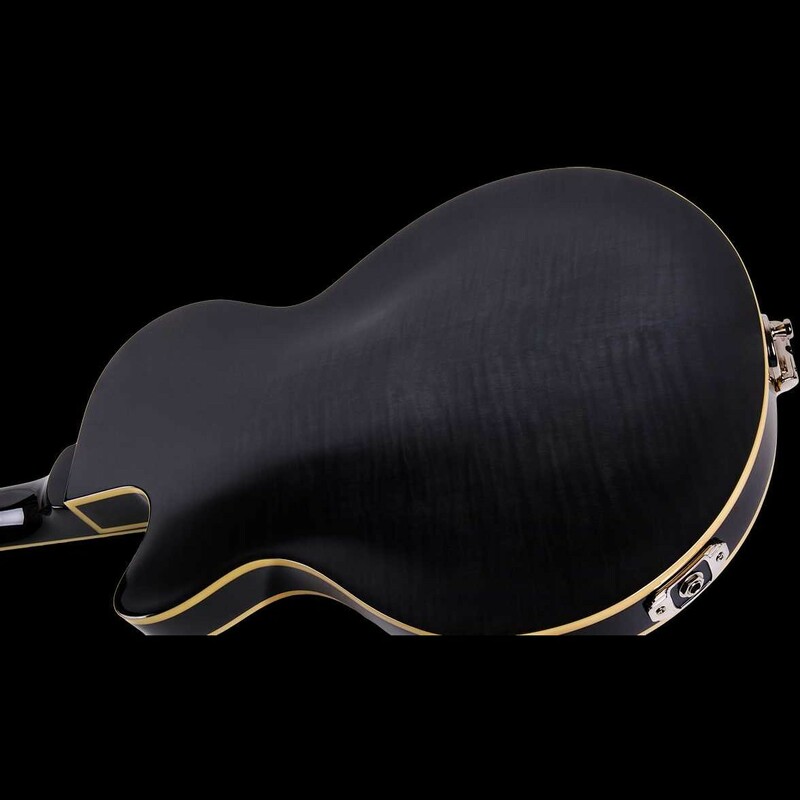 22 frets, traditional set in neck, hollow body with sustain block and bowed sides, arched spruce top (multi-layer), arched flamed maple back (multi-layer), binding on headstock, fingerboard, body top & back, F-hole & neck heel, Super Tremola tailpiece, floating bridge, 3-step kidney-shape tuner buttons, P-90 construction single coil pickup (neck position), vintage humbucker (bridge position), special Duesenberg twang sound in middle position of 3-way switch.